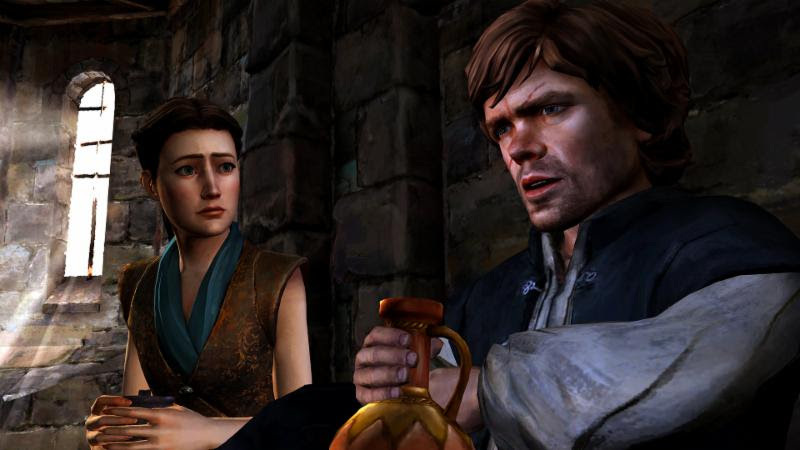 Through press release means, Telltale Games has officially announced the cross-platform release dates for the penultimate episode of its Game of Thrones video game. Alongside that news, we’ve been gifted with a new trailer and several screens. It’s been a couple of months since we last visited House Forrester’s precarious situation, and things are certainly coming to a boil as this six episode series nears its conclusion. Mira — who’s had to play political chess from her position in King’s Landing — has drawn the attention of not only Margaery Tyrell but also Cersei Lannister, who now feels that she may be of some use to her. In addition to that predicament, Rodrik has angered Ramsay Snow, who now threatens him further, Finally, Asher and Beshka are up to their old tricks, and Gared finds himself in a precarious situation north of the wall. Although the threats in this game have only been of the verbal, sword, fire and dragon-based varieties thus far, new elements look to come into play during Game of Thrones‘ fifth episode, A Nest of Vipers. This includes not only jail (for Mira, it seems), but perhaps even the White Walkers themselves. Game of Thrones: Episode 5 – A Nest of Vipers will hit PC, Mac and PS4 on Tuesday, July 21st, before making its way to Xbox 360 and Xbox One the very next day. An iOS and Android release will then follow on July 23rd.